Drive new patients to your practice. 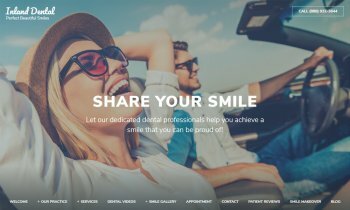 Our dental websites provide a lasting first impression online while putting patients at ease through educational videos, thoughtful content and unique features that sustain engagement and retention. Get a user-friendly, comprehensive, modern website that you and your patients will love. Fill out the form to request a free website demo! "So how are your dental websites different from what I have right now?" We're not just web designers. We're experts in dental marketing. 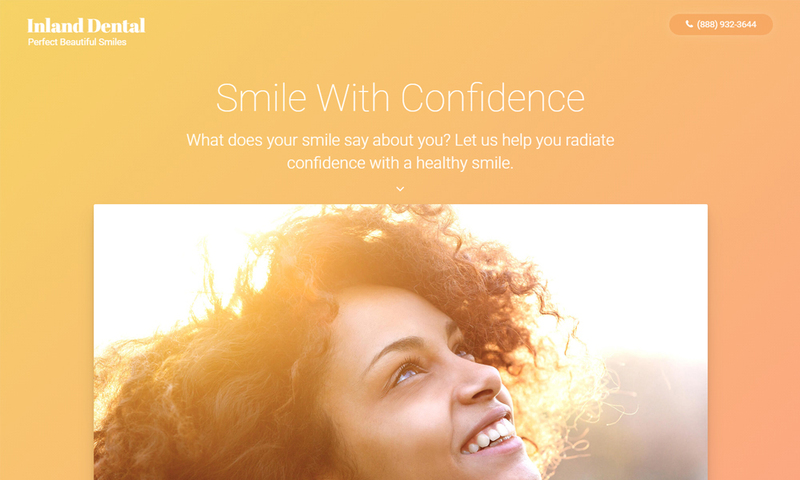 Our dental websites combine compelling designs with persuasive content and interactive features to communicate your expertise and encourage patients to contact your practice. And, we help you gain (more) positive reviews with reputation marketing. Never have an outdated website again. FutureNow Assurance™ is our promise to give you frequent upgrades to keep your site up-to-date with the latest designs, features, and technology – free of charge. You can edit content, upload new photos or videos, or change your entire design in seconds. Want us do it for you? No problem. Our website design and digital marketing services team are here to give you unlimited support at any time. immediately capture attention, convey a professional image, and improve patient satisfaction. semi-custom or full custom designs, we offer a wide-range of choices to fit every dental practice’s needs and budget. 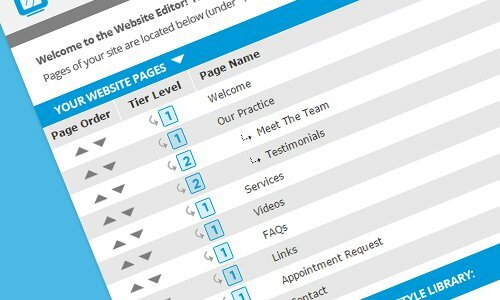 What other features are included with your ProSites website? Positive patient reviews can easily become one of your practice’s greatest marketing assets. 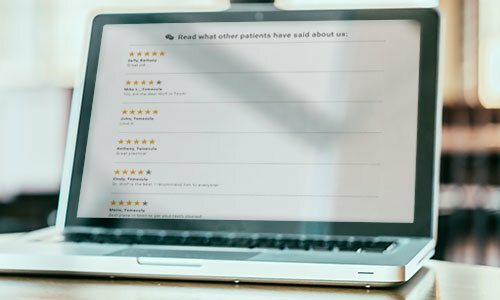 Our reputation marketing feature makes it easy for you to gain, monitor, and showcase positive patient reviews directly on your website. 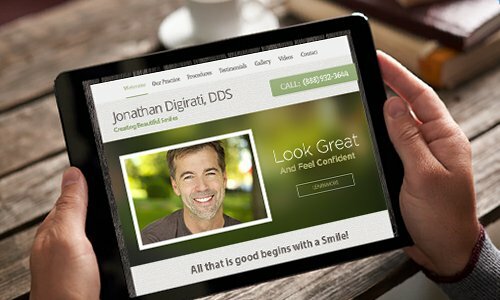 We offer over 150+ compelling, pre-designed dental practice websites that convey an unforgettable first impression of your practice. Our ever-growing library allows you to find the imagery and design that best fits your practice’s brand and include mobile-friendly, responsive options to ensure a perfect viewing experience across screens of every size and device type. Having great content has endless benefits; it educates patients about various services and procedures, improves your rankings on search engine results, and is an opportunity to further convey your knowledge and expertise in the field. Creating content from scratch can cost thousands of dollars and take precious time away from patients. That’s why ProSites provides hundreds of pages of core content that you can implement and personalize on your website. A picture is worth a thousand words. Your website has a section where you can proudly display before and after photos to help patients visualize your work and see the end results. The more photos and examples you can provide, the more trust that a visitor and potential patient will gain about your practice. 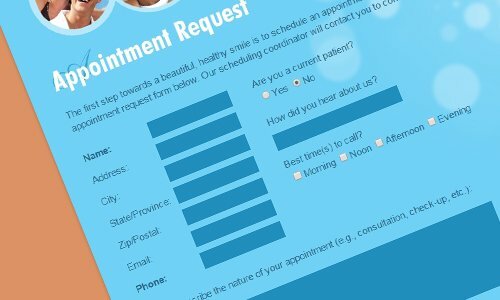 The goal of a website for dentists is to educate and encourage visitors to contact your practice, which means each page on your website should include a strong call-to-action to capture visitor information and generate a prospect list of potential new patients. 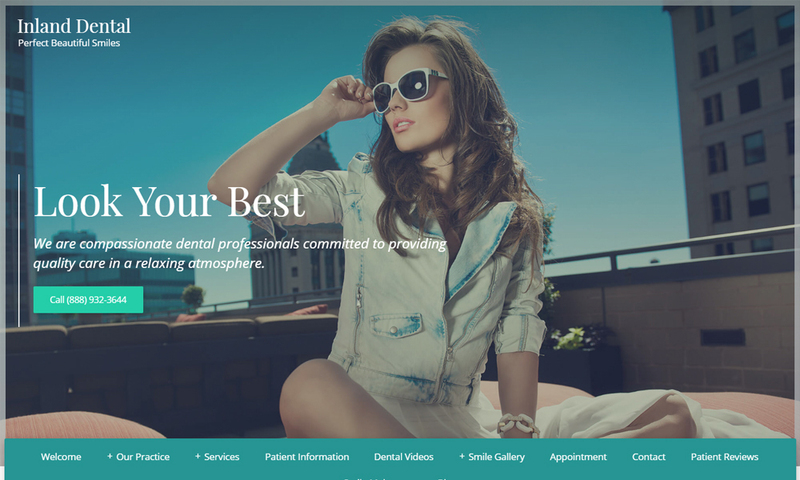 ProSites websites include various dental marketing features that encourage visitors to contact your practice such as online appointment requests, a smile analysis questionnaire where patients can voice any concerns privately, educational videos with a contact form at the end, and more. 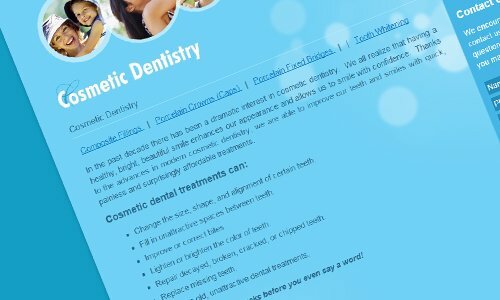 Website design for dentists made easy! If you’ve ever used Microsoft Word, you’ll breeze through our simple but powerful website editor.Update content, add new photos and videos, add unlimited pages, or even change your entire site design. You have complete control of your website day and night. Within seconds you can update content, add new pages, add photos and videos, or even change your entire site design. Our website editor is truly hassle-free and even gives you the ability to preview work before you take it live on your website. Deliver a superior patient experience at every touch-point with ProSites Premier. This new product suite is the perfect blend of services to provide better security, convenience, and analytics to your practice. 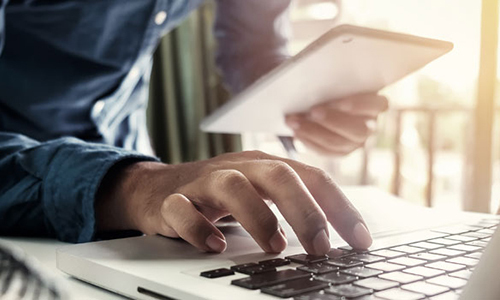 From HIPAA-compliant forms and secure email to enhanced customization and website tracking, you get the tools you need to have a truly comprehensive website solution that delivers proven results. Today there are countless website companies to choose from, both in and outside of the dental industry. To avoid wasting time and money down the road, making the right choice for your practice upfront is critical. 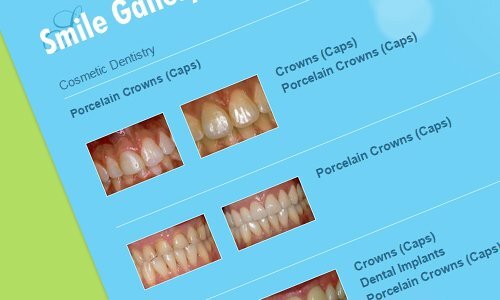 We at ProSites know how important it is to find and choose the perfect dental website company for your practice. 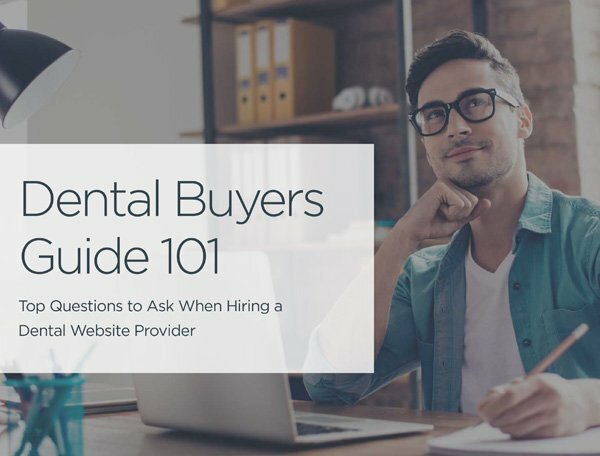 That’s why we created a list of the top questions to ask when hiring a new website provider. Get the free guide to learn top 10 questions to ask plus hints on what to look for in a company’s answers to identify green and red flags. Today, simply having a website isn’t enough to stand out online. A strong online presence is critical to your practice’s success. The only way to stand out is with a multi-touch, cross channel approach. The ProSites suite of online marketing solutions helps dentists accelerate growth and attract loyal patients. Learn more by calling (888) 932-3644 today. Talk to an Internet Marketing Advisor about how we can help grow your practice. Let an Internet Marketing Advisor show you the ProSites experience. Start your free, 14-day website trial. Zero risk, zero obligation.